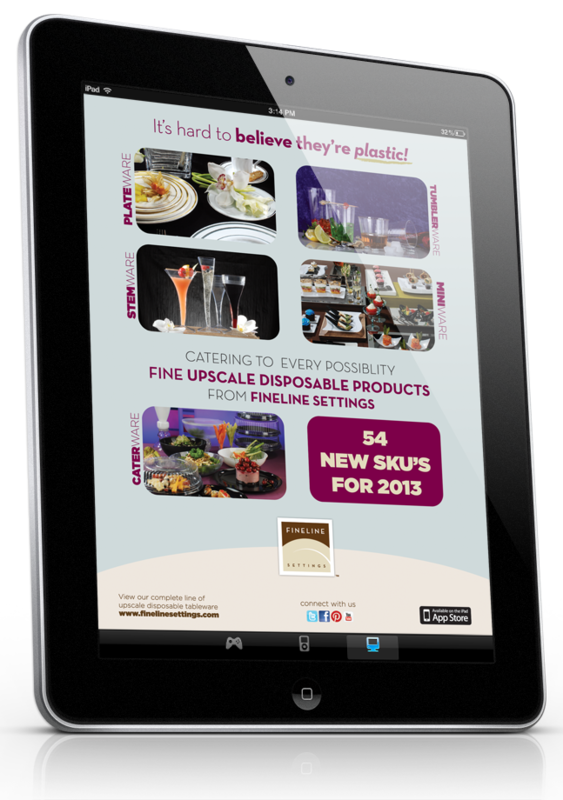 You have come to love our digital and printed upscale product catalog, now you can have our beautiful catalog on the go. We're excited to announce that our catalog has now been launched as an iPad app and is available for download on the Apple Store. Browse and search for your favorite Fineline items and products, available even when you're offline. See detailed product information by clicking in the item. Select the product and collection by clicking in the drop down menu on the top left hand corner. Contact our helpful sales and customer care personal by clicking on the Contact button on the top bar of the app (to send an email through the app you'll need to have a working internet connection). Click below to download our iPad app from the iTunes store.